This practice will challenge students to dig deep into their determination and willpower to achieve great results. None of the asanas are rushed. Students have the opportunity to discover the pose in its full glory and to go deep into a meditative state. Modifications of poses will be offered for beginners. All are welcome! 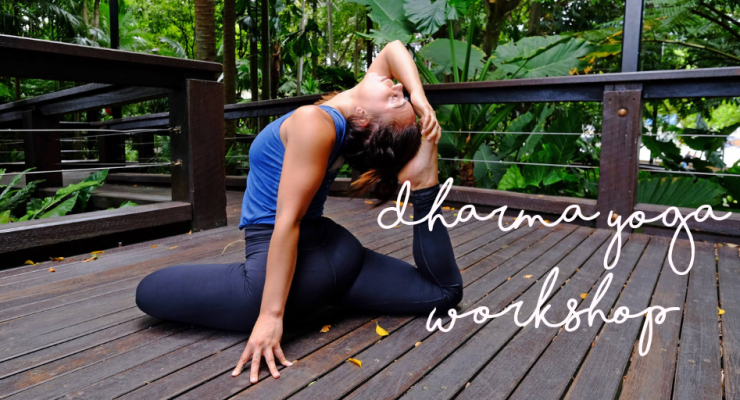 The workshop will include all the aspects of yoga: philosophy, chanting, pranayama, meditation, and asana poses in an all levels practice that will focus on inversions, hip openers, and backbends. The practice will make the body healthy, strong, and flexible and lead students to quiet the mind, build endurance, and realize their full potential. Dharma Yoga is classic Hatha-Raja-Bhakti Yoga following the Eight Limb path as taught by yoga master Sri Dharma Mittra, who has been sharing the teachings in New York City and around the world for 50 years. Sri Dharma, 79, is well known for his Master Chart of 908 Asanas. Leanne is a 500hr yoga teacher recently completing her training under Sri Dharma Mittra. It is with gratitude that she is able to share this complete practice. Email info@stretchyoga.com.au to find out more information.